On the Internet, relevancy is everything, and Twitter empowers entrepreneurs with real-time updates to stay in the know. Like most people I know, I’ve been an avid Facebook and LinkedIn user for years. But there was one platform I never appreciated much: Twitter. I’m not sure why, but I never connected with Twitter—until now. I recently started using the platform, and I now think it’s just plain awesome. In addition to the hours of mental stimulation it can provide, it’s a great tool for entrepreneurs to aid the growth of their businesses. Twitter is a gateway to a massive amount of information. Opinions, news, videos, photos, and more are readily available from millions of people and organizations around the world. The information is endless. In fact, 63% of Twitter users surveyed by Pew Research in 2015 said they read news on the platform. Although Twitter is home to a never-ending stream of content, it doesn’t have to be overwhelming—in fact it can be quite digestible. The platform is easy to navigate and search for hashtags, trending topics, handles, or news feed. Twitter showcases the most recent and relevant events as they happen. It’s as real-time as social media gets. As situations unfold, users can see the thoughts and feelings of individuals at that moment. For example, I followed #blizzard2016nyc as New York's recent snowstorm raged on. I saw pictures, read first-hand information about conditions, and learned when it was safe to venture out. You can also monitor hashtags for industry conferences and events, campaigns, and product rollouts or stay current on relevant topics to post about and discuss with followers. On the Internet, relevancy is everything, and Twitter empowers entrepreneurs with real-time updates to stay in the know. Twitter is the great equalizer platform. Presidential candidates, celebrities, artists, leaders, and other prominent figures are active on Twitter and many of them engage with their followers on a regular basis. For example, Taylor Swift is well-known for engaging significantly with her Twitter fans, even surprise-visiting them at their houses! Contacting mentors or role models for advice, asking founders for their opinions on industry news and events, and getting influencers to share product information and reviews are all now possible with Twitter. Twitter, like other social networks, opens the door to new connections. But Twitter is more open than Facebook and LinkedIn, making it easier to find new people and build relationships with them. Entrepreneurs can find new clients, colleagues, mentors, or their next superstar employee. In fact, 47% of recruiters surveyed by Jobvite in 2015 said they used Twitter to find talent. 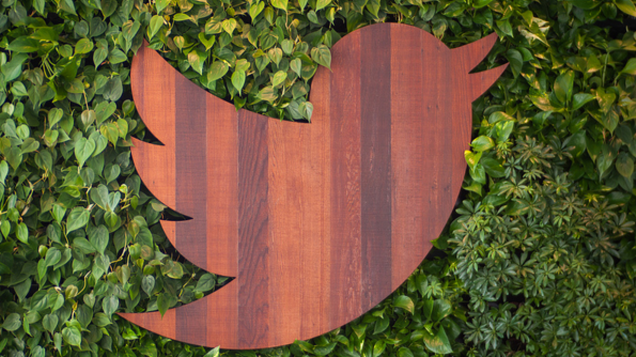 However small, relationships started on Twitter can impact your business and its growth.